Storing food at home for the winter can be another cost-effective and efficient way to feed your family. Now is the time to think about where in your house you can squirrel away some food from our farmers’ markets for those cold months. house can you use for food storage? Can you really keep food in a buried cast-off refrigerator? How do we keep food safe from pests such as rodents? These are some questions that we plan to explore at a Winter Food Storage Discussion on Thursday, September 26th, 7:30-9:00pm, at the South Hall. 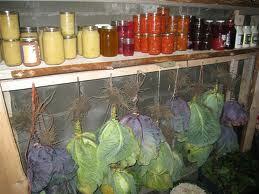 If you’re interested in learning more about winter food storage, please join us! (Please register.) If you have questions that haven’t been covered here please forward them along to us so we can include them in the discussion. And if you have a proven, effective way to store fruits and veggies on Galiano in the winter, either inside or outside, and are willing to share what works for you with other islanders who are interested in learning more about food storage, please let us know about it!